Discover how aging and spirituality will nourish and support each other. Spirituality offers shelter to the aging and at the same time makes the natural process of aging a wonderful journey. Spiritual care as a way to “restore wholeness” and promote health and well being of patients in all dimensions of their being. Spirituality in nursing focuses on holistic healing. Is it difficult to start taking steps to spiritual growth? Not if you adopt a certain philosophy. Remember, your life is very much a part of your spiritual life. Learn how to live wisely and well. Can Wellness and Spirituality co-exist ? A sense of purpose is what binds wellness and spirituality together. By practicing spirituality, you will learn to accept and embrace elements which are important in achieving wellness. How to set up everyday spirituality to transform your everyday life into the purest gold. Learn about my services. You can get great help with your meditation practice or your healing process. 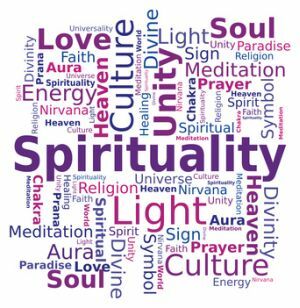 Return to Home Page "Spirituality and Health" from "What is Spirituality?"